Want to know what kind of person Melanie Benjamin is? Well, then, imagine this: I'm on tour in Chicago during a blizzard. Melanie Benjamin is so kind, she braves the snow and comes out to hear me AND she insists on driving me back to the scary Bed and Breakfast (there are NO other guests but me). AND she waits outside to make sure I get in, and when I can't, she gets out of the car and trudges through the snowy walk to help me, waiting until the grumpy bed and breakfast comes out to even-more-grumpily let me in. But Melanie is more than just a wide open heart. She's a fabulous writer who gets inside the hearts and minds of some of history's most complex and interesting people. 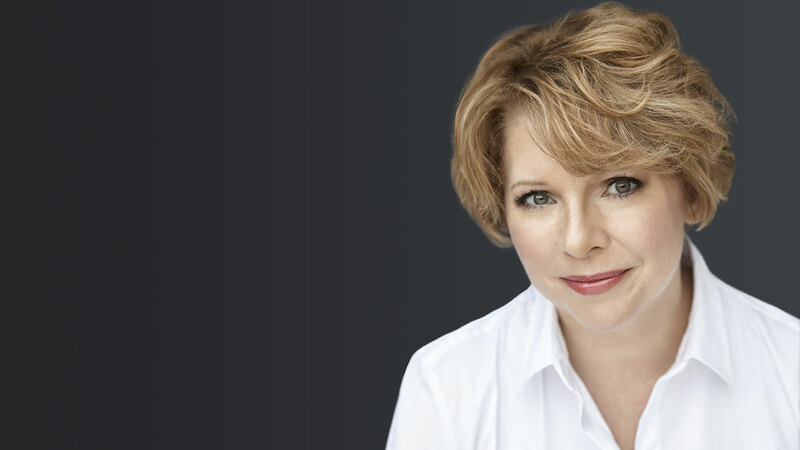 A New York Times Bestseller, she's the author of The Aviator's Wife, The Autobiography of Mrs. Tom. Thumb, Alice I have Been, and now the extraordinary Swans of Fifth Avenue (great title, right?) The only thing better than hosting you on this blog, Melanie, would be kicking back a glass of wine with you. I’m totally fascinated by the subjects of your novels, from Alice of Alice in Wonderland, to Mrs. Tom Thumb. 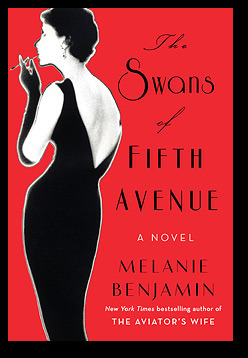 And I love the whole idea of centering on the “swans” the glamorous society ladies of New York City’s Manhattan. So I want to know, what do you look for when considering who or what to write about? What particularly haunts you about your subjects, and do you see a running theme between each of them? I think I'm drawn to people whose public stories are fairly well known, but whose private lives seem to indicate that there was a lot more going on that we didn't know about or learn about. The liars of history, in other words. So far, I think the only running theme I see (but then again, authors are the very last people in the world to understand what they've written; readers get that so much sooner than we do!) is the theme of an unconventional love story. Alice Liddell and Charles Dodgson (aka Lewis Carroll); Lavinia Warren Stratton and P.T. Barnum; Anne Morrow and Charles Lindbergh. And now, Truman Capote and Babe Paley. Not all of these are affairs of the flesh but they are all affairs of the heart, in one way or another. This novel seems as though it was a blast to research. What was the most fun? What was the least? And what surprised you? Yes! It was the most fun I've had writing a book; I felt as if I were invited to the most fabulous party in Manhattan, with Truman Capote as host, and I was able to eavesdrop on every conversation. The parties, the entire era (an era in which everyone dressed to the nines, even just for lunch), the clothes, particularly - they were just so much fun to explore, and then write about. The least fun part was uncovering the tragedies, the sordidness, the heartbreak, that these beautiful people tried so hard to conceal behind the designer clothes. The tragedy of growing old when your entire self-worth, your currency, has been based on your appearance - that was interesting, yet ultimately sad, to explore. What surprised me? Discovering Truman Capote's heart. Because that's a difficult thing to uncover, really, and to discover it, and in discovering it, find Babe Paley, and learn about her - that was totally surprising. Yet ultimately, the reason why I wrote this book. I had the end of the story right off - a literary scandal, because of the publication of a short story, the betrayal of secrets. But how did it begin? It was the anatomy of this relationship between Babe and Truman that I wanted to explore. I love a statement you made in your endnotes about how so many of the characters were incurable liars, who made fiction out of their own facts. Do you think anyone ever really knows the truth about their own lives, let alone another person’s? No! We lie to ourselves all the time! We decide what story to tell to everyone else, and we stick to it. We leave things out, every minute of every day. You're on Facebook - do you share everything about yourself? Everything you do? I don't; I'm constantly editing my own life. And absolutely, I do not believe we ever know the truth about our own lives, and it sometimes takes the storyteller in our midst to find that truth, to expose it - but we don't like that. We don't want someone else to tell our story, even if we decide, ourselves, not to tell it. Truman was the ultimate storyteller; the ultimate desperate storyteller in that, after IN COLD BLOOD, he ran out of stories to tell, had told all his own (most of his work, to that point but excluding IN COLD BLOOD, was extremely autobiographical, I firmly believe) - and so he had to borrow other people's. And that's crossing a line; a line most people, even most storytellers, wouldn't cross. But Truman had no scruples in that area. But not all of us are storytellers, of course. Most of us keep our secrets, hold them dear, and respect the secrets of others. But the Truman Capotes of the world, well, they're not so respectful. Central to this glorious book is the relationship between Babe Paley and Truman Capote, but there are so many other famous cameos from Lauren Bacall, C. Z. Guest, Andy Warhol and more. Your novel is so vivid, so alive on the page, that I really felt transported. While you were writing The Swans of Fifth Avenue, did you feel disorientated at all? Did you find yourself yearning for this period of time more so than any of your other wonderful historical fiction? "Disorientated" is a wonderful word! But no, it doesn't describe how I wrote this book. I am able, through some mysterious alchemy, to enter completely into a different time, a different world, a different voice, and then when I'm done with that day's work, tuck it aside and be myself, for the most part. I'm sure a little bit of what I'm writing, the era in which I'm spending most of my day, seeps in, but not much. Although I admit I did go through a period when I coveted designer clothing and shoes and handbags! I did envy, and want to emulate, the exquisite taste and fashion sense that Babe possessed, for quite a long time. I feel that desire coming out again, as I'm gearing up for my book tour. I'd love to wear Chanel or Givenchy to every one of my signings! But alas, I cannot. I content myself with the pen I bought from Tiffany's, for signing books; that's the closest I can come to Babe. I do love this time period. I admit, I'm a grumpy gussie who wishes everyone did dress up, like in these days, the 1950s and early 1960s. I think we've lost something with our casual appearance - people walk about in yoga pants now, all the time! I appreciate the care and consideration that goes into dressing for the public, into respecting them. I recently had a conversation with some other female authors about what to wear to a book signing; I was adamant that I dress for my readers; I respect that they give of their time to see me, and so I'm going to dress in a way that honors that. I'm not going to show up in jeans and a peasant blouse. I believe in this, and maybe it's a crutch, but still, I will dress my very best when I'm out in public. I simply enjoy it, and believe in at least attempting good taste. So this time period did fit nicely in with my (probably futile) quest to change the way we dress, and try to counteract the studied casualness of this era. I always love and admire your writing, but this particular novel seems to soar in a very different way than your others. Do you find your writing changes with the time period you are writing about? My writing changes, yes. I'm not sure it's about the time period, though. I feel it's more about the subject(s). I always look first for story, not time period. I try to push myself with each novel. I'm terrified of ever taking a step backward. I've decided not to publish books for that very reason; I went through this just recently. Everyone always asks me how old I am! I don't know why. But I'm not telling. (53.) Everyone also wants to know where I write, as if I have some fantastic Aladdin's Cave of an office. Nope. It's just a small room with pumpkin-colored walls, and no view at all besides the red brick of the townhouse next door. And I sit on a futon with my laptop, and I write. Every day. It's not very inspiring, really.